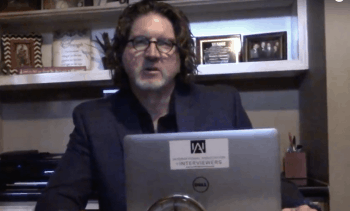 In this week’s Wicklander-Zulawski / International Association of Interviewers interview and interrogation training tip, Brett Ward, CFI, divisional vice president for client relations and business development for WZ, continues with a four-part series on the investigatory interview process. Check out Part 1 on anticipating denials. It feels like a lot of the rationalizations that come in are grounded in memory. So many people initiate this phase with rationalizations such as “peer pressure,” “impulse,” “financial concerns,” and “opportunity.” These are great in the sense that they’re easy concepts to get across, but they’re not what people are willing to wear in public. I want to challenge you to broaden your scope when it comes to rationalizations. Think through different topics and rationalizations that you would be willing to wear in public: things like “exhaustion,” or “lack of control.” Think about things like “easy access,” “Robin Hood syndrome,” or other victimless issues that are outside of your normal realm of proffered rationalizations. Remember that rationalizations are not just storytelling. They have components to them that are important: stating the topic, creating a story, providing a moral to the story, and then establishing the important link back that this is why there are people like us, who come behind, to have these types of conversations. Expanding your rationalization matrix will help you be a better interviewer and be more confident in that room. Thanks for tuning into the series. Look forward to part three next week.